As beautiful as in nature, this pair of blue chickadees sparkles in clear crystal with Light Sapphire crystal tails, Jet crystal eyes, and Black Diamond crystal beaks. 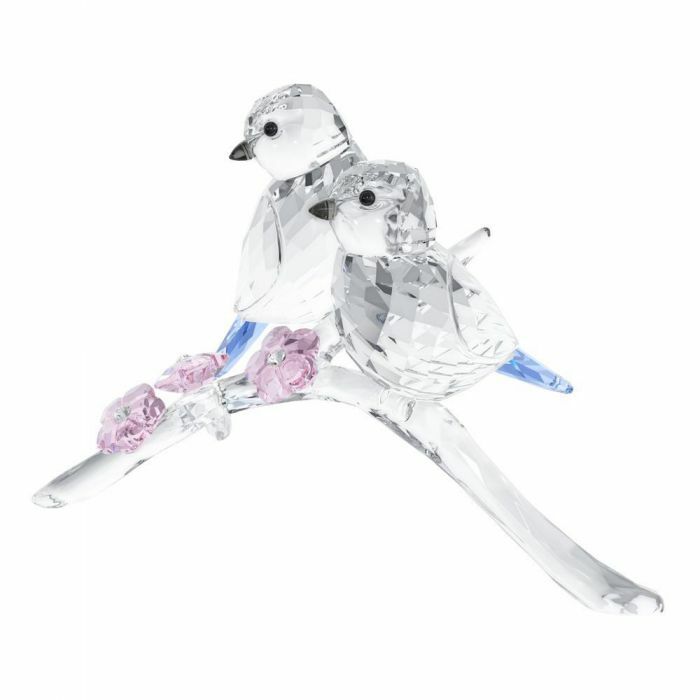 They perch on a clear crystal base decorated with three Rosaline crystal flowers. Decoration object. Not a toy. Not suitable for children under 15.